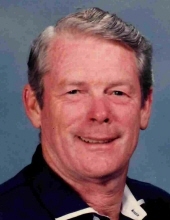 Fred L. Cravens, 83, of Energy, passed away Wednesday, March 27, 2019 at his residence. Fred was a retired Electronic Technician from Olin Industries and also worked as a Carpenter. Fred was a veteran of the U.S. Army during the Berlin Crisis. He is also a former member of the Egypt Motorcycle Club in Energy. Fred was born August 2, 1935 in Energy, IL to Rev. Carl and Wilma (Mitchell) Cravens. Fred was united in marriage with Gail Bryan on December 25, 1957 at the First United Methodist Church in Energy by Rev. Carl Cravens. Surviving are his wife, Gail Cravens of Energy; son and daughter-in-law, Mitchell “Mitch” and Rita Cravens of Herrin; daughter and son-in-law, Jill & Jim Church of Bartlett, TN; five grandchildren, Mallori & Nathaniel Wilson of Carterville, IL, Kelsey & Halston Miller of Herrin, IL, Raven & Dalton Freeman of Olive Branch, MS, Sterling Church of Burbank, CA, and Bridgett Church of Bartlett, TN; six great grandchildren, Hudson, Karli, Kamden, Kaylor, Delta, and Demi; three sisters and 2 brothers-in-law, Kay and Jerry Drummond of Energy, Karen Gurley of Highland, Julie and Dale Bowers of Energy; three brothers and two sisters-in-law, Gary and Gloria Cravens of Marion, Ivan “Jumbo” and Sue Cravens of Herrin, Roger Cravens of Herrin and several nieces and nephews. He was preceded in death by his parents, brother and sister-in-law, Tim and Jeannie Cravens and a brother-in-law, Gary Gurley. Services will be 12:00 p.m. Saturday, March 30, 2019 at Meredith-Waddell Funeral Home in Herrin with Rev. John Yeo officiating. Visitation will be 11:00 a.m. – 12:00 p.m. Saturday at the funeral home. Interment will be at Egyptian Memorial Gardens in Energy. In lieu of flowers, memorial donations may be made to the First Baptist Church, 101 South Pershing Street, Energy, IL 62933; envelopes will be available at the funeral home. To send flowers or a remembrance gift to the family of Fred L. Cravens, please visit our Tribute Store. "Email Address" would like to share the life celebration of Fred L. Cravens. Click on the "link" to go to share a favorite memory or leave a condolence message for the family.